Qualification -: Degree of LL.B or equivalent from a recognized University . How to Apply -: Interested candidates may apply in prescribed application form along with copies of supporting documents (viz. educational qualification and experience) sent to the Deputy Director (HR), H.R. 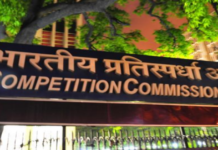 Division, Competition Commission of India, the Hindustan Times House, 18-20, Kasturba Gandhi Marg, New Delhi – 110 001.